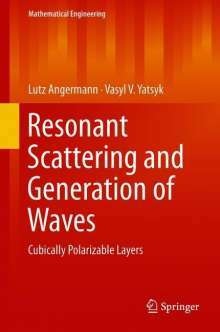 Der Artikel Lutz Angermann: Resonant Scattering and Generation of Waves wurde in den Warenkorb gelegt. This monograph deals with theoretical aspects and numerical simulations of the interaction of electromagnetic fields with nonlinear materials. It focuses in particular on media with nonlinear polarization properties. 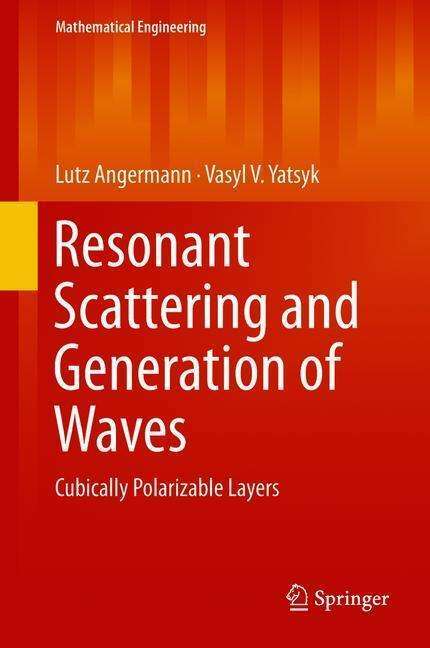 It addresses the direct problem of nonlinear Electrodynamics, that is to understand the nonlinear behavior in the induced polarization and to analyze or even to control its impact on the propagation of electromagnetic fields in the matter. The book gives a comprehensive presentation of the results obtained by the authors during the last decade and put those findings in a broader, unified context and extends them in several directions. It is divided into eight chapters and three appendices. Chapter 1 starts from the Maxwell's equations and develops a wave propagation theory in plate-like media with nonlinear polarizability. In chapter 2 a theoretical framework in terms of weak solutions is given in order to prove the existence and uniqueness of a solution of the semilinear boundary-value problem derived in the first chapter. Chapter 3 presents a different approach to the solvability theory of the reduced frequency-domain model. Here the boundary-value problem is reduced to finding solutions of a system of one-dimensional nonlinear Hammerstein integral equations. Chapter 4 describes an approach to the spectral analysis of the linearized system of integral equations. Chapters 5 and 6 are devoted to the numerical approximation of the solutions of the corresponding mathematical models. Chapter 7 contains detailed descriptions, discussions and evaluations of the numerical experiments. Finally, chapter 8 gives a summary of the results and an outlook for future work.